Don’t worry as Travelwheels Campervans have a FREE Sydney to Cairns Route Planner you can download for FREE from travelwheels campervan hire. How long is the drive from Sydney to Cairns in a campervan? 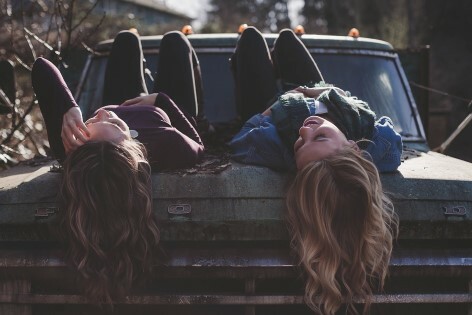 Travel with your friends and have the best time of your life! Cairns is about 2600kms away from Sydney. Many people make the “classic mistake” of leaving Sydney in a big rush and trying to do this classic Sydney to Cairns route as fast as possible. This is very sad, as there are so many wonderful places to visit! Stop and read our Sydney to Cairns Route Planner first and then plan your trip! Furthermore don’t forgot to read our toll roads in Australia guide. The East Coast has loads of toll roads which are cashless! Hence it’s easy to get confused and for example get a penalty ticket for not paying as the signs are unclear! Travelwheels campervan hire Sydney recommends taking about three to four weeks (21-28 days) to explore Sydney to Cairns road trip. This will give you enough time to see all the magic of Sydney on whilst on Australia’s most popular campervan trip from Sydney to Cairns without rushing! Don’t forget to take the Travelwheels Sydney to Cairns Route Planner with you! Therefore if you have less time, then a Cairns to Sydney fly drive campervan holiday might be more suitable for you? Here is our guide to Cairns to Sydney fly drive holidays. Below is the FREE travelwheels campervan hire Sydney to Cairns Route Planner with loads of information on free stuff to do when driving from Sydney to Cairns in a campervan This will give you enough suggestions to have a fantastic holiday from Sydney to Cairns by using our trip planner. 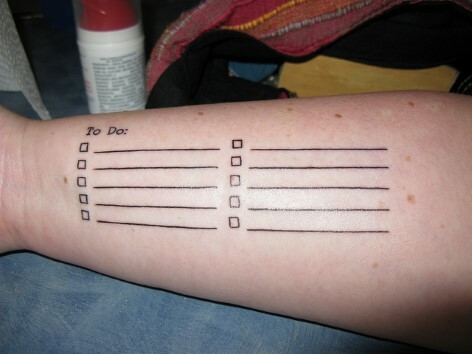 You could tattoo your To-do list on your arm – OR simply use our free online trip advice! BLUE MOUNTAINS NATIONAL PARK how far from Sydney by campervan? 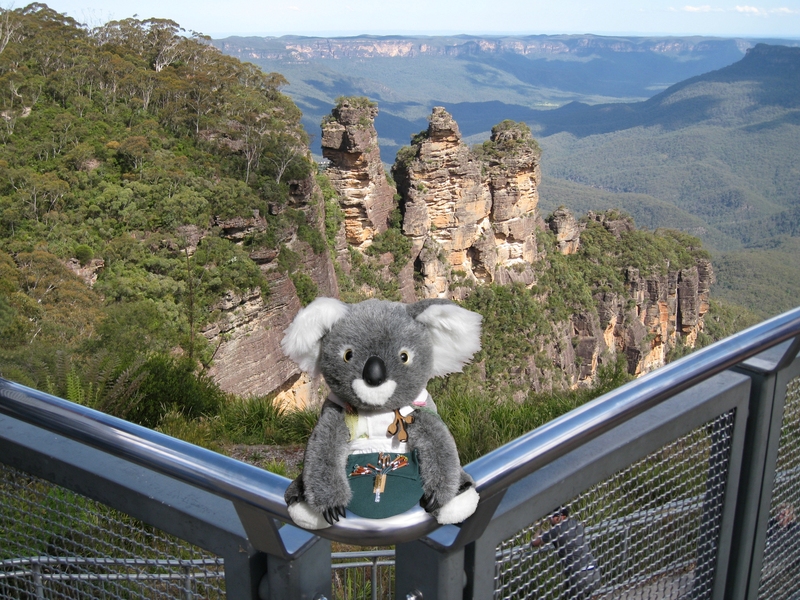 How far is the Blue Mountains from Sydney by campervan? The Blue Moutains National Park is about 100kms drive away from Sydney. It is a UNESCO World Heritage Site and approximately the size of Belgium. 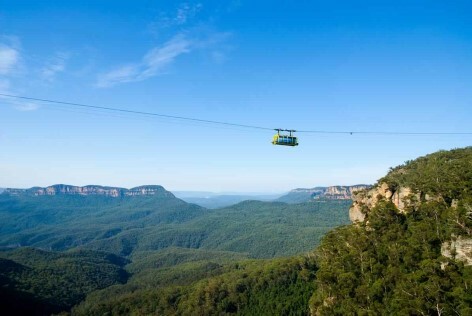 Here is link to our Sydney to Blue Mountains route planner you will find especially useful. Furthermore it has loads of cool stuff to see and do! This is the first stop we suggest in our PDF Sydney to Cairns Route Planner. 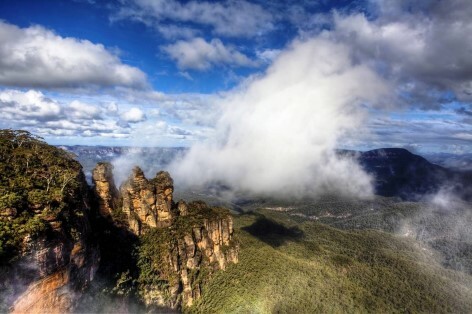 Travelwheels campervan hire recommends stopping for about 2-3 days to get a taster of the Blue Mountains. However if you want to have a really good look, then travelwheels recommends staying here for about a week to fully explore just how special this area is! Fantastic bush walking – many wonderful walking tracks all for FREE! 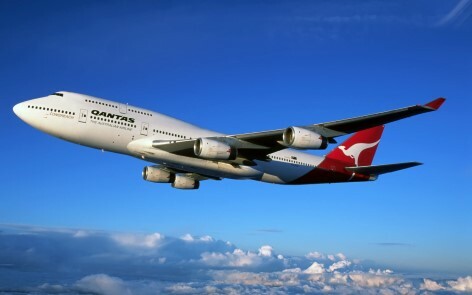 Here is our second place we suggest stopping in our PDF Sydney to Cairns Route Planner. Instead of rushing up the coast in your Travelwheels Campervan, why not check out our trip planner and visit the Entrance! On your trip North it is just 60 mins drive from Sydney and “The Entrance” is situated on the central coast. 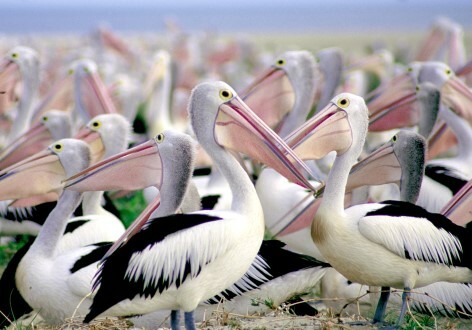 It’s time to get our of your travelwheels campervan as The Entrance is known as “Pelican Capital of Australia” and you can see them being fed everyday at 3.30pm! Mangrove Creek Dam – wonderful spot to chill for picnic without all those crowds! If you like your wine, then take PDF Sydney to Cairns Route Planner to the Hunter Valley. 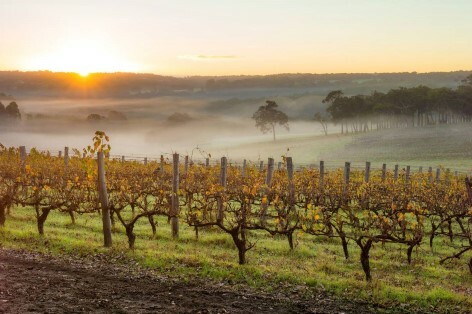 This is New South Wales’ best known wine region and is the oldest in Australia. Good place to explore for a few days, and visit some vineyards! Best to park up the Travelwheels Campervan before hitting the wine tours! Do an “intro to wine appreciation” course! Port Macquarie is one of travelwheels campervan hire staff favorite places to visit. A lot of people read our PDF Sydney to Cairns Route Planner, and often overlook this magical place. It’s the perfect place to start your Sydney to Cairns Campervan hire Holiday. 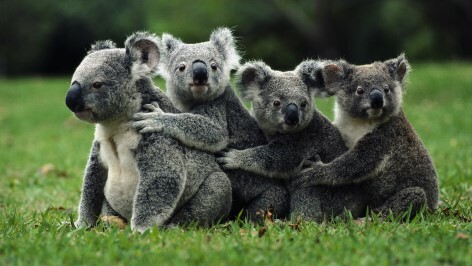 It has wonderful beaches to explore and Port Macquarie is famous for it’s wonderful Koala Hospital. This is the first and oldest Koala hospital in Australia and was founded back in 1973. Big Banana in Coffs Harbour – Tip: Try the Banana split at the visitor center! 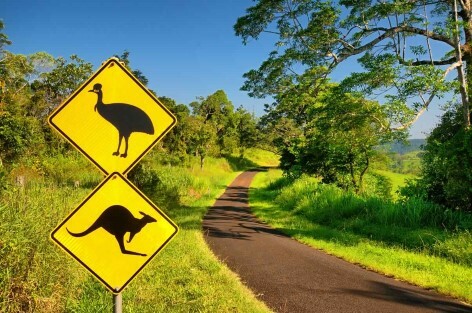 One of the things we point out in our PDF Sydney to Cairns Route Planner is the giant things you can see on the road in Australia! Coffs Harbour used to the centre of the banana industry in Australia. 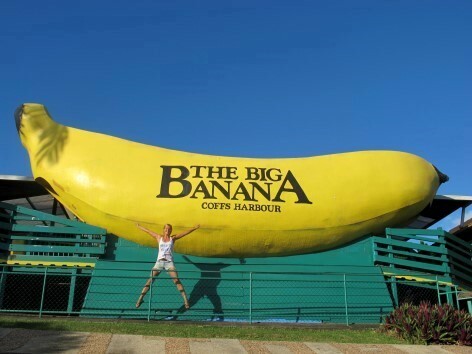 It is now home to the “BIG BANANA!”, which started off the craze of building big things by the road side in Australia! The Big Banana will celebrate it’s 50th Birthday in 2015! 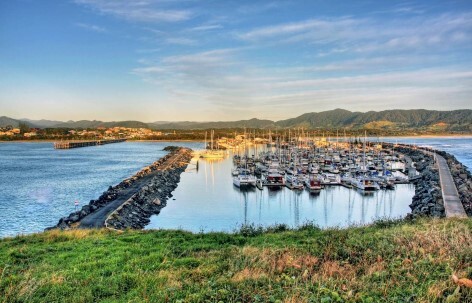 Coffs Harbour is popular for people who enjoy watersports and it’s now known for being an adventure playground for travellers. Muttonbird Island is close by and there is a viewing platform where whales are often spotted between June and November. Coffs Harbour has some very special National Parks close by which are well worth exploring. Travelwheels Campervans recommends visiting beautiful Dorrigo National Park. The BIG Banana! Taste a Chocolate Coated Banana! After the Big Banana it’s time to jump back in to the campervan and head for Byron Bay! BYRON BAY Travelwheels recommends 5-7 DAYS exploring Byron Bay. 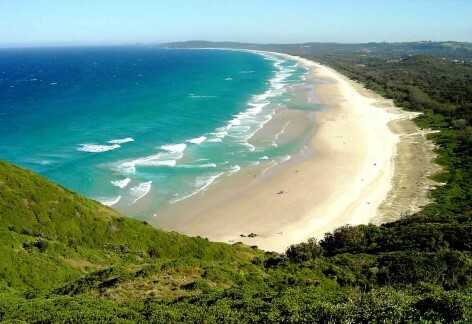 Byron Bay is an absolute essential stop in our PDF Sydney to Cairns Route Planner. 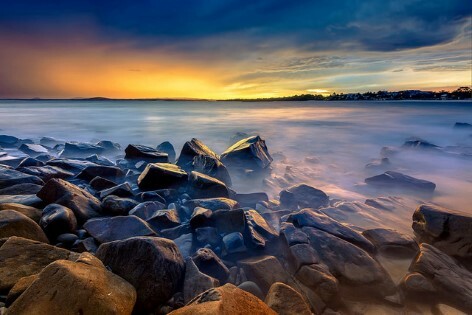 It is a beach side town located in New South Wales, Australia. Byron Bay is approximately 772 kilometers (480 miles) north of Sydney and 165 kilometers (103 miles) south of Brisbane .Of the the things to do in Byron Bay is to go and visit Cape Byron. This is the most easterly point of mainland Australia. It’s a short drive from Byron, so well worth exploring with your campervan. 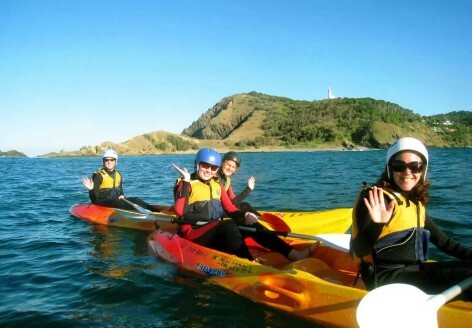 Byron Bay – Get active with a choice of many different outdoor activities! Visit Tallow Beach in Byron Bay! Just one of many beautiful places to discover in the area! Here is Travelwheels Campervans list of cool stuff to do in Byron Bay. Remember you can find all this info in our FREE PDF Sydney to Cairns Route Planner. Night hike to Mt Warning – first place on Australian mainland to see the sun rise! MUST DO and FREE! Good Night life in Byron Bay, Brilliant place to party hard or just chill out…. 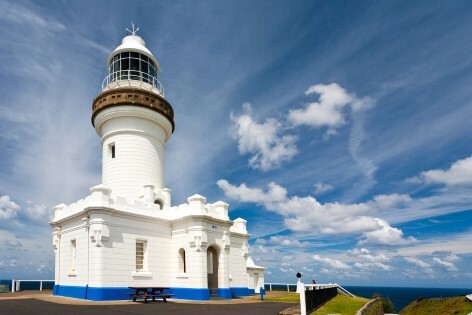 Visit Cape Byron, which is the eastern most point of mainland Australia. 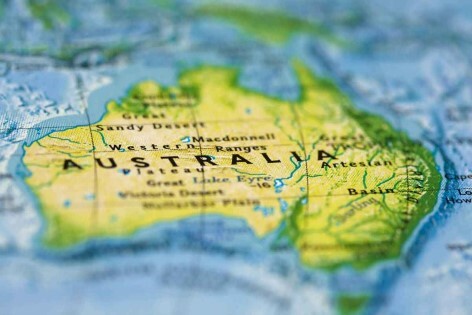 Most popular holiday destination in Australia! Fab nightlight, it’s a PARTY TOWN! 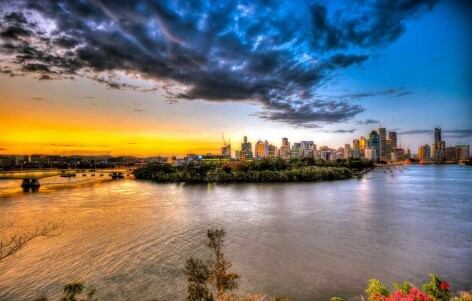 If you are planning on visiting Brisbane, then travelwheels recommends leaving the campervan at a caravan park. This way you don’t have to worry about parking the campervan in the city and take the bus in to Brisbane. If you need to make up some time and want to skip a couple of places on this planner, then we suggest giving Brisbane a miss. It’s not that it is really bad, just there are so many other great places to visit along the East Coast of Australia! Here are a couple of places we recommend to see taken from the Sydney to Cairns Route Planner. 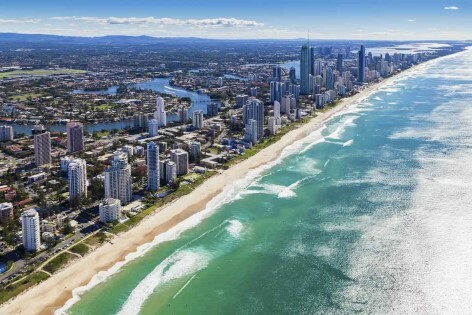 Visit the man made beach in the centre of Brisbane! 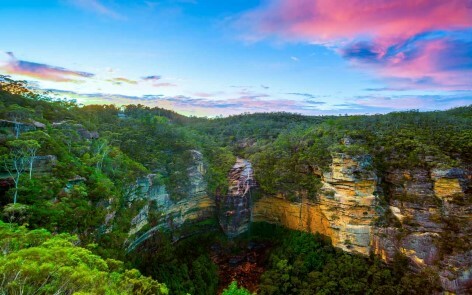 This is such a lovely place to visit and we had to include it in our Sydney to Cairns Route Planner. Noose is a lovely place to park up your travelwheels campervan and explore this wonderful area. 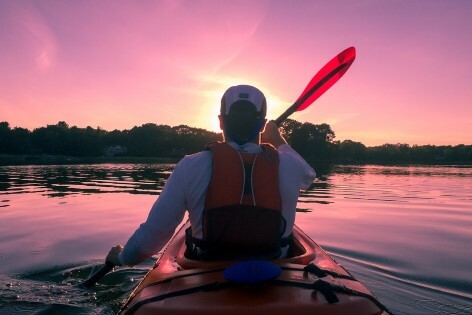 Travelwheels recommends leaving the campervan and going on a three day canoe trip in to the national parks which is good fun! 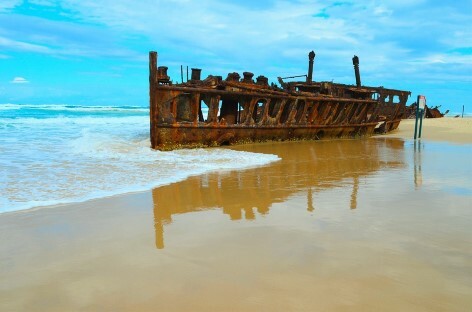 You can’t take your travelwheels campervan to Fraser Island. As a result, we suggest parking the campervan up in the town and take the ferry over to the island. Therefore you don’t need a campervan to explore Fraser, however what you really want is a 4×4! Here are a few things to do taken from our PDF Sydney to Cairns Route Planner. Visit the World’s Largest Sand Island! 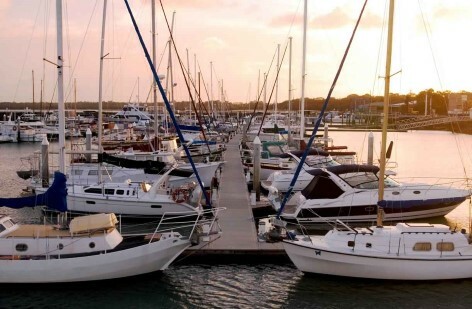 Hervey Bay is another place to chill in your campervan for a few days. If you are lucky and it’s the right time of year you can go on a whale watching tour. Circle this place in your Sydney to Cairns Route Planner! If you are lucky you can see whales in Hervey Bay! If is a magical experience and one not to miss! Nearby is Mon Repo – watch baby turtles being born on the sands! This is another essential stop in the Travelwheels Sydney to Cairns Route Planner if you like to party! Airlie beach has a reputation of being a party town! 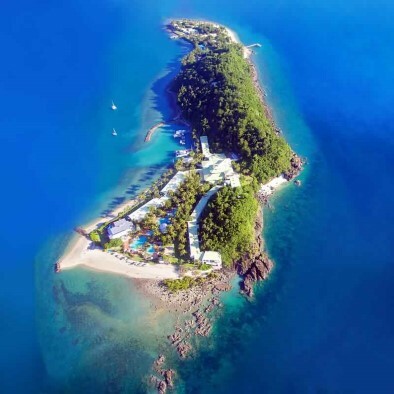 The Whitsunday Islands needs very little introduction! Make sure you circle this in your Sydney to Cairns Route Planner. We recommend at least 4-5 days here to get the full experience! Circle this in your Sydney to Cairns Route Planner if you like adventure! 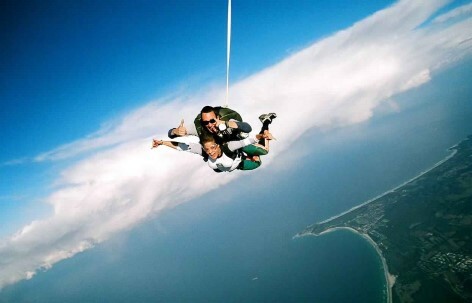 This is the place to go for white water rafting, and sky diving and more! Cairns – the gateway to the Great Barrier Reef! 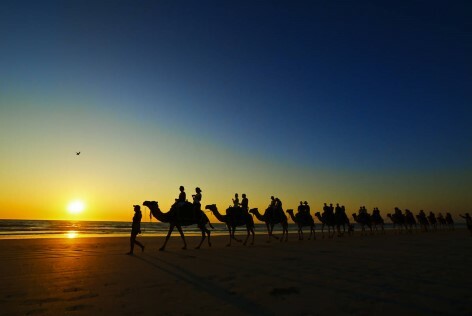 Travelwheels recommends spending 5-7 days in our Sydney to Cairns Route Planner. Loads of brilliant day trips and wonderful places to explore in this tropical paradise! Cairns is the fourth most popular tourist destination in Australia. The city of Cairns is known best for its natural beauty which some amazing places so close to Cairns to explore! 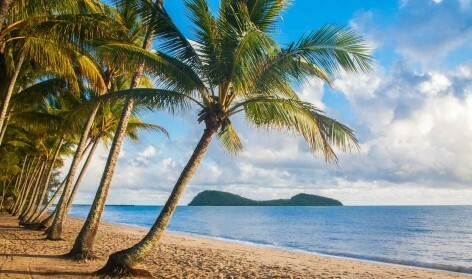 Here are just a few suggestions from travelwheels such as visit Cape Tribulation, Port Douglas, Kuranda National Park, Palm Cove, Daintree to name a few things! Below is our list of things to do taken from our Sydney to Cairns Route Planner. Cairns – the adventure Activity Centre of Australia! 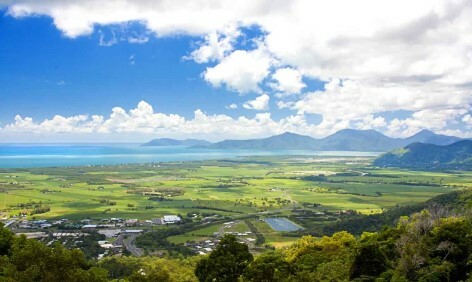 Cairns and the surrounding area is a perfect place to explore with a campervan. Grab our Sydney to Cairns Route Planner and it’s easier to escape the crowds in Cairns! Imagine parking up your travelwheels campervan in some truly beautiful places and see the stunning scenery that Queensland offers! . Travel Wheels campervan Hire Cairns recommends spending 5-7 days exploring Cairns after you have been on the Great Barrier Reef. This will give you a good introduction to Cairns and the surrounding areas. If money is tight and you still want to explore Cairns, then here are some tips from Travelwheels Campervan Hire Sydney to Cairns Route Planner. 1. FREE SWIMMING IN CAIRNS AT THE ESPLANADE LAGOON – Swimming in The Lagoon. When you are in Cairns, make sure you visit the no charge outdoor swimming pool! It’s located on the Esplanade and remember the sun tan location! This is the perfect place to read our Sydney to Cairns Route Planner! 2. EXPLORE WATERFALLS OR BEACHES CLOSE TO CAIRNS FOR NO COST! 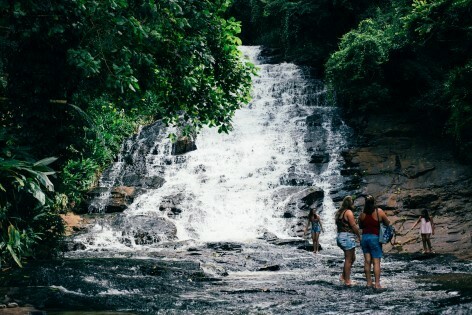 Grab your Travel Wheels Campervan Hire Cairns van and head off to find some of the beautiful waterfalls very close to Cairns. Travel Wheels campervans recommends checking out Barron Falls and the Crystal Cascades which are both close to Cairns. 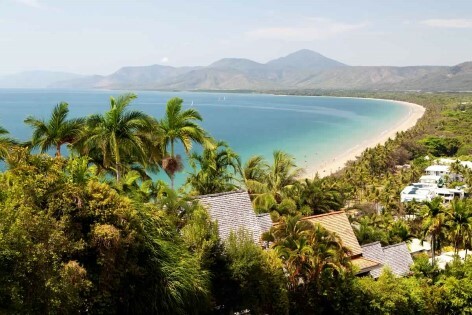 Why not chill out at Palm Cove, which is about a 45 minutes campervan drive away. 3. 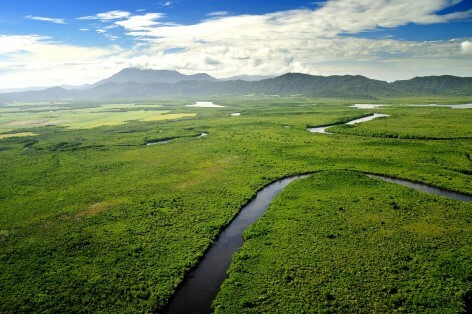 VISIT THE RAINFORESTS CLOSE TO CAIRNS! 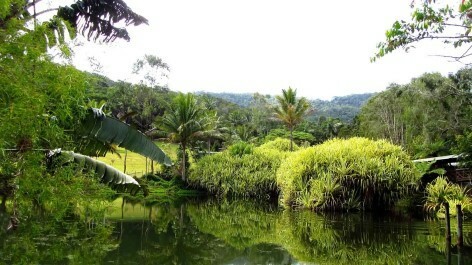 Whilst in Cairns why not visit Cairns Botanical Gardens? Very close to the Cairns Botanical Gardens is the start to the ‘Red Arrow’ which is a nice nature walk. This takes about 30 minutes for the round trip and will take you through the gorgeous rainforest to a spectacular lookout at the top. Another fab thing to do in Cairns without paying an entry free! 4. 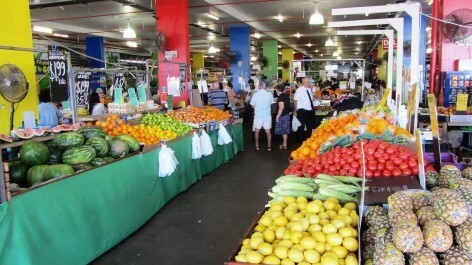 VISIT CAIRNS MARKETS Well worth visiting the Cairns Night Markets. It’s also a good place to find some cheap food to save you some money at the night markets! 5. 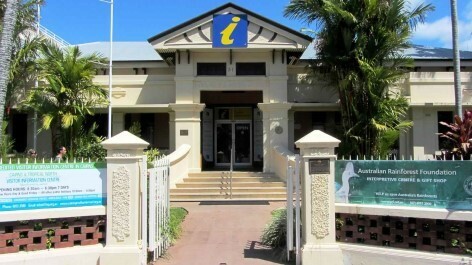 VISIT CAIRNS MUSEUM AND CAIRNS ART GALLERIES Interested in learning more about Cairns and Queensland? How about visiting some to the good small art galleries which incredible images of Cairns, the Great Barrier Reef, Rainforests and so much more! Travelwheels Campervans Sydney to Cairns route planner you can download for FREE. Travelwheels can email you a free Sydney to Cairns Route Planner to help make the most of your trip from Sydney to Cairns in your campervan. 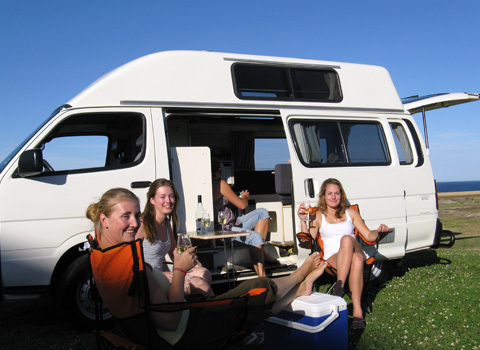 If you are looking for campervan hire in Sydney that is close to Sydney airport? One positive thing about travelwheels campervan Hire Sydney is that we are only a short taxi ride away from Sydney domestic and international Airports. Now you have the information you need with our Sydney to Cairns Route Planner, the time has come to book your campervan hire in Australia. All you have to do is enter your dates below for our best deals on Sydney to Cairns Campervan Hire. 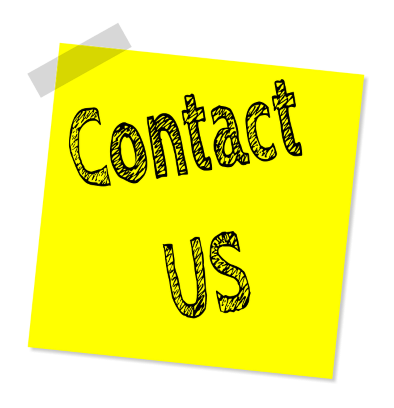 You can always call our team on 0412766616 for more details on our discounted deals available now.